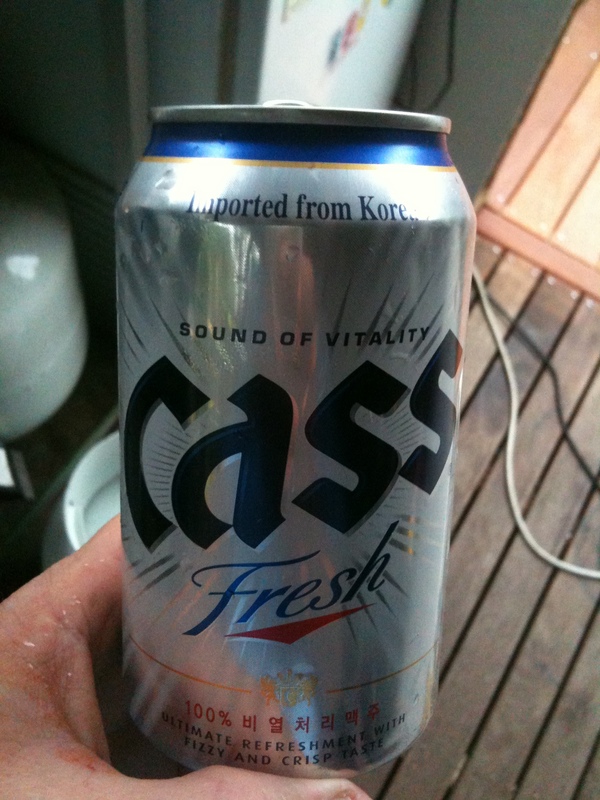 Cass is Korea’s most popular beer. I’m yet to have a good Korean beer. I don’t think that Korea should be visited for its beer. The highlight of this beer was the can script. “Sound of Vitality” “Ultimate Refreshment with Fizzy and Crisp Taste”. First time I’ve heard a beer’s fizziness called out as a compelling reason. And what is the sound of vitality? The sound of the ring pull? Maybe you could call it Korenglish. Anyway – Cass has been ticked off the list. 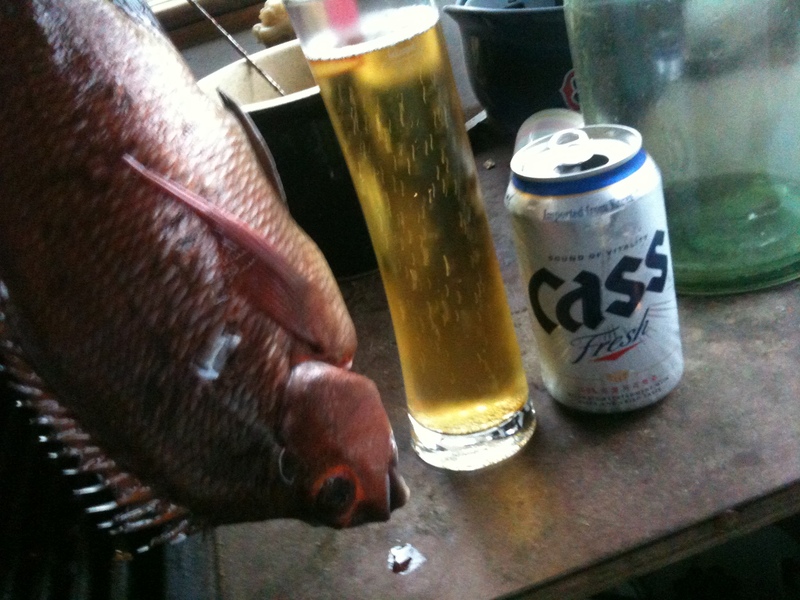 The fish accompanying the Cass is a Red Morwong. My intrepid snorkelling companion actually caught this on his previous excurision to Deadman’s (They’re a little slower than the Kingfish). Attractive looking fish with delicate white flesh. Good eating, though not as steaky as a Kingfish.